Kenshine Group is a people oriented organization. We believe that people are the most important element in the success of our enterprise. 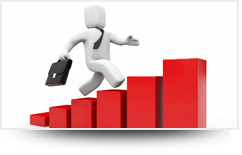 We are an equal opportunity employer and offer a merit and achievement led career growth path. Featured below are some of the current vacancies at our group companies. If you have the talent and the capability we seek, do send us your resume, and we will contact you. By Filling up this form, I Abide to all the rules of this site and Kenshine Group concern. I Understand that this is just an application and not a Job Guarantee.